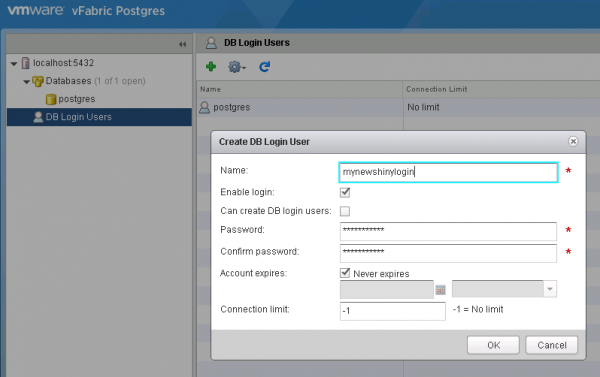 vPostgres appliance (available as an OVA file) deployment is straightforward and quite simple. Note: as vPostgres is compatible with PostgreSQL tools, you can use your regular PostgreSQL client (if you have any). 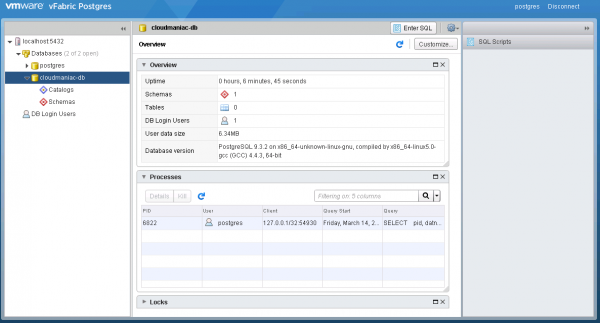 VMware vFabric Postgres is free for non-production use and is licensed per virtual machine (with up to two vCPUs) for production use. 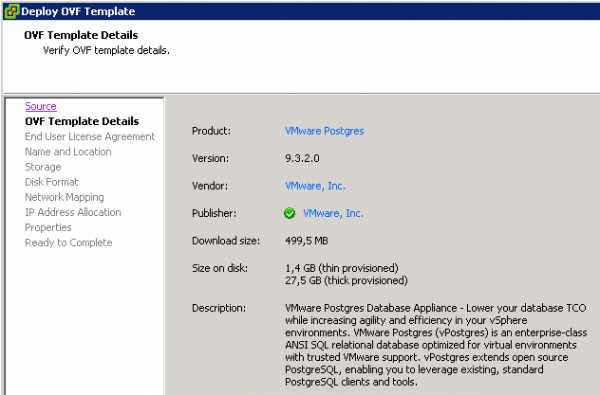 vPostgres is a supported database for several VMware products, like Horizon or vCAC.